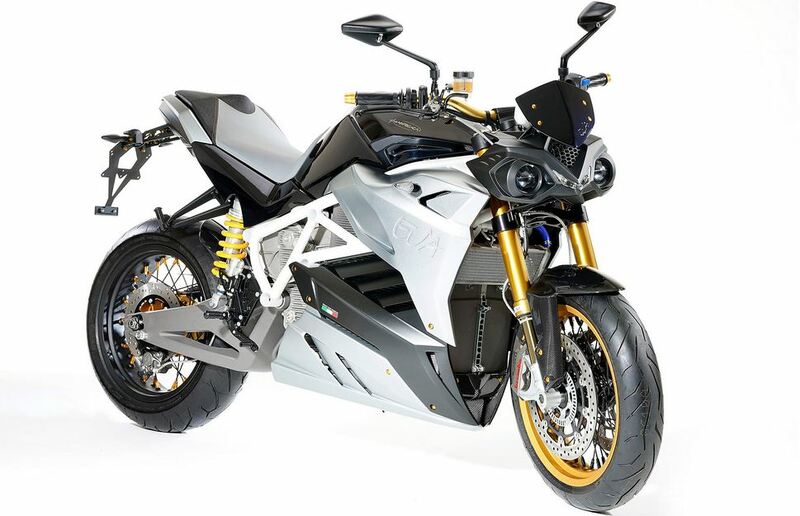 Energica Eva is the first 100% electric streetfighter made in Italy: a perfect combination of agility and aggressive riding.Energica Eva has a permanent magnet AC (PMAC) oil cooled motor that produces 70kW (95 hp c.ca) of instantaneous power and a torque of 170 Nm. 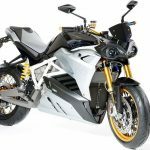 The electric streetfighter has a range up to 200km (ECO mode) and can reach a top speed of 200km/h in Sport mode. 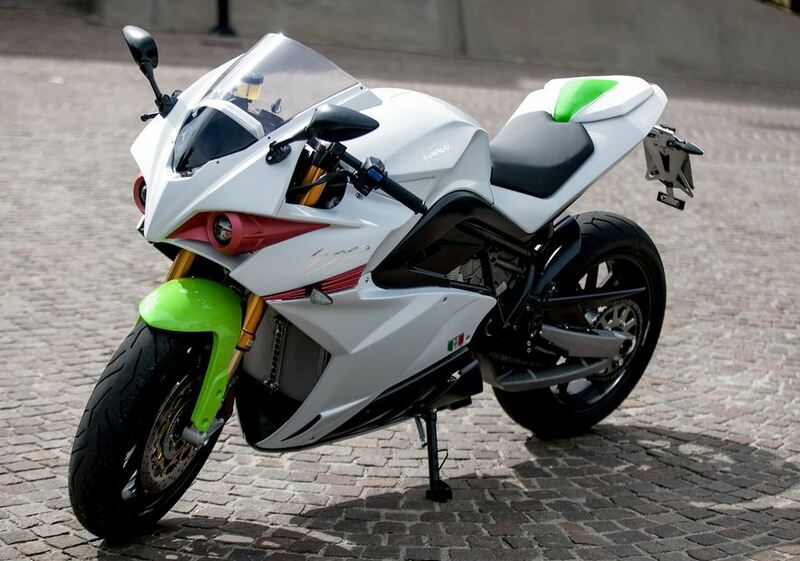 Eva’s battery, inverter, charger and ABS are constantly monitored and managed by a sophisticated Vehicle Control Unit, like Energica Ego.Energica Eva does not have a gearbox or a clutch. Everything is regulated through the ride-by-wire system, allowing you to control the acceleration and deceleration of the motor with the integrated regenerative torque braking fully adjustable by the rider. A coasting feature is provided as a “neutral” position between acceleration and regeneration.The streetfighter is fully compatible with commercial recharging stations or can be charged at home. 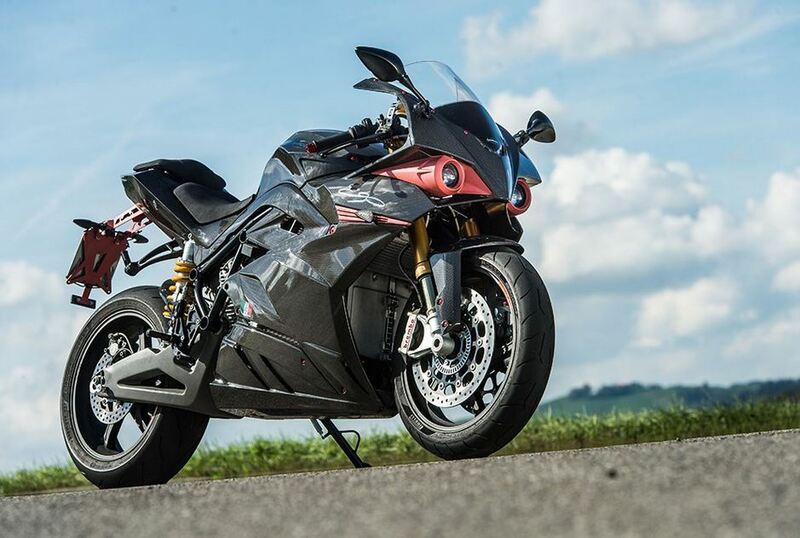 Energica Eva is the only electric streetfighter in the world with an integrated fast charge system on board. Love love love this bike! Only problem I have is stopping myself from riding farther than the range will allow me. Worth it. Easy to ride and a beautiful piece of machinery… I’m in love. Only issues I could come with would be that it’s a bit heavy and a bit pricey. But hey, might be worth it. Honestly can’t find anything wrong with this bike. It’s fast, powerful, and high tech. I love the old school design with the high tech capabilities. While yes, it is heavy, I really don’t mind that because IMHO a classic motorcycle *should* be heavy. And as far as the high price tag is concerned, this is a quality machine — you get what you pay for! If you don’t believe me, just give it a test ride yourself. You’ll be flying high in no time.